Another home movie. It's amazing what you can achieve on an 11 hour long haul flight. This one tells the tale of a flight last Saturday from a thoroughly miserable Cambridge over to sunny Lille. A bit of shake from two new camera mount positions, but otherwise, not a bad result. I continue to learn slowly from each one. Technical question: How do you turn your GoPros on and off? Or do you just leave them on all the time and edit later? My gopro is mounted behind my head to the cabin light dome so I can't see the screen: it is possible to use bluetooth from my mobile phone but something always seems to go wrong. Theoretically I can also use voice activation ('gopro start recording') but I never can confirm recording has begun. Interestingly the voice expletive 'sh it!' is a recognised 'stop' command, but not apparently start. I am very unsophisticated and simply leave the cameras running from before startup to shutdown. That allows me to be certain that they are running, and to set an audible synchronisation point to allow for later editing. I then use Final Cut Pro to edit the footage down to something more manageable. 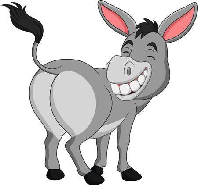 2Donkeys wrote: ... and to set an audible synchronisation point to allow for later editing. We recently had a film crew use our kitchen as a set, and only then discovered that the clapperboard one sees film crews using is as much for sound sync as it is for detailing take info etc. Indeed, a small production crew will often just clap for sound sync. Are there budget cuts in Hollywood?